Diversity is the name of the game when it comes to Fashion Studies at Parsons. Students from different parts of the globe and different backgrounds have access to elective classes to nurture the path they are taking with their careers. 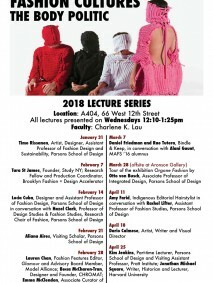 Among the options for students is the graduate seminar on Fashion Criticism, taught by Francesca Granata. This provides a space to learn the world of being a fashion critic, from a very professional point of view. In the current scenario, where everyone is able to express an opinion through many platforms and where it’s not necessary to have a degree or experience in order to participate in the fashion industry, the position and expertise of the critic becomes extremely important. It is a responsibility that media and fashion critics owe to their audiences and to the work of many people on both sides of the industry: the ones who want their job to be reflected in the experts’ opinion and the ones who want to receive information from an informed, expert source. If this class allowed students to learn different techniques and perspectives about the work that critics develop, it also had an important testimonial component, with a remarkable group of writers from different magazines and newspapers, who provided valuable insights about what it is like to work as fashion critic and the challenges this job presents. 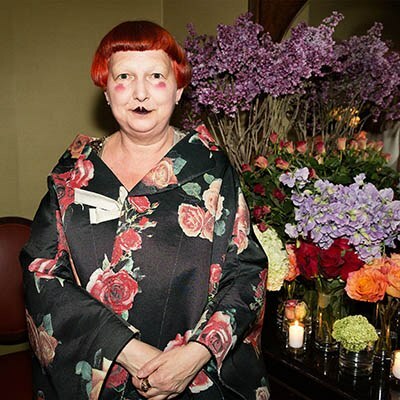 We had the opportunity to interact with important authors such as professor Ulrich Lehmann, Lynn Yaeger, Contributing Editor at vogue.com and Vanessa Friedman , Chief Fashion Critic at The New York Times. All participated in interesting conversations about their methods, the way they approach their jobs and, of course, how they have adapted to the new technologies. However, she made pretty clear that she doesn’t get caught up in the intricate details of the industry. “It’s very easy for me to write, and I do take my writing seriously. But I also think you have to be able to laugh at some stuff you see here,” she said, explaining that her “fashion month” consists of reviewing shows from New York Fashion Week and London, and also going to Paris, always leaving a space for what’s beyond the runway . “I always like to leave a day in Paris to see what’s out there.” Yaeger’s writing is mostly opinion articles (“Should Hollywood Consider This Alternative to the All-Black #MeToo Dress Code?” or “Melania Trump’s Hurricane Stilettos, and the White House’s Continual Failure to Understand Optics”) and shopping recommendations (of course she’s going to give you advice on a fur coat for the winter). But one thing she’s clear about is writing about other’s styles. “I don’t think I ever have to write about what others wear. I don’t like it, it’s not my problem,” she said emphatically on the question of what a critic should look for and in her opinion, is not about criticizing others just for the sake of it. Vanessa Friedman courtesy of The New York Times. 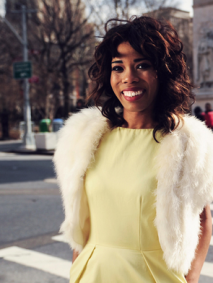 Jeniffer Varela Rodríguez is a Colombian fashion and lifestyle journalist, who’s written for magazines such as HELLO! and ¡HOLA! Colombia, as well as brands like Steve Madden and Superga. 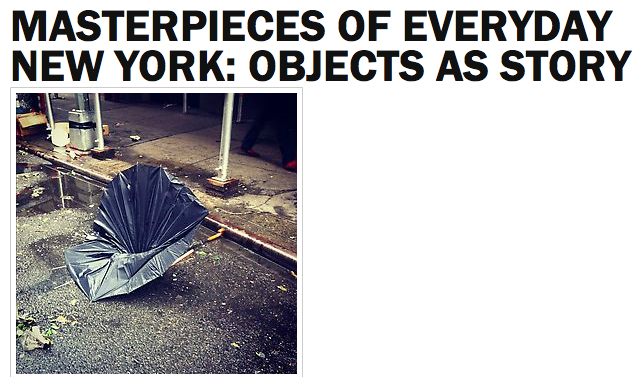 She’s currently a first-year student of the MA Fashion Studies, at Parsons.